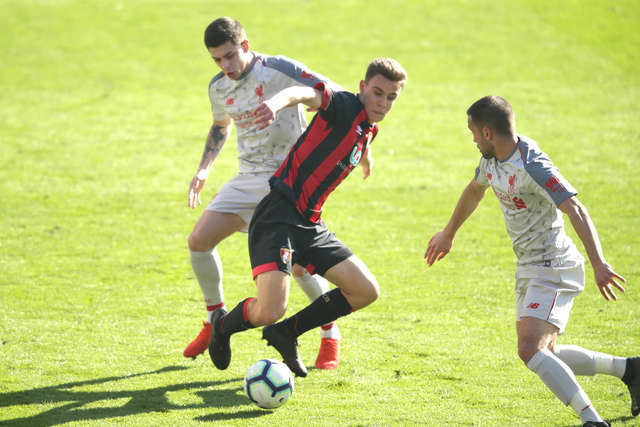 Cherries youngsters progress in the Premier League Cup despite defeat against Liverpool at Vitality Stadium. 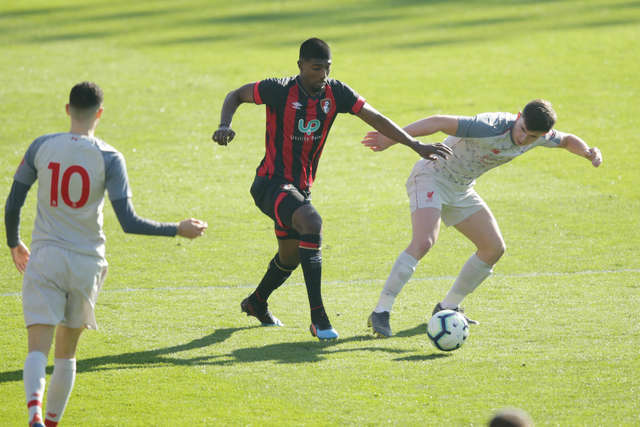 AFC Bournemouth Under-21s completed the group stage of their Premier League Cup campaign with a 2-0 home defeat against Liverpool Under-23s on Sunday. In front of an impressive crowd of more than 1,800 at Vitality Stadium, goals in each half from Glen McAuley and Paul Glatzel earned the Reds all three points, but Shaun Cooper’s Cherries still progress to the knockout stage of the competition. 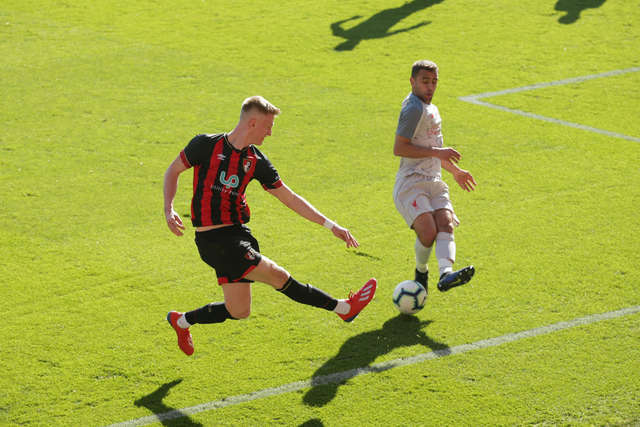 Liverpool broke the deadlock with less than three minutes on the clock, when McAuley latched on to Adam Lewis’ long ball over the top and calmly placed a strike into the far corner. The Cherries responded almost immediately but Emerson Hyndman’s 20 -yard free-kick was blocked by the wall after Dinesh Gilella had been bundled over. Only a superb save from Mark Travers prevented the visitors from doubling their lead. The Ireland Under-21 international sprung to his left to claw away a Ben Woodburn shot that looked destined for the top corner. But Shaun Cooper’s youngsters were growing into the contest and, with half-time approaching, had a sustained spell of pressure which could have yielded an equaliser. First, Sam Surridge had a penalty appeal turned down when he tumbled under a challenge, before, seconds later, the front man almost beat Reds keeper Shamal George at his near post. George was called into action again immediately, parrying to a dipping free-kick from James Boote, while a last-ditch Liverpool block stopped Surridge as he pulled the trigger following a mazy run. Liverpool raced out of the traps after the interval and should have extended their advantage in the 49th minute. A through ball dissected the hosts’ defence, and Abdi Sharif turned inside Tom Hanfrey but, from six yards, put his effort the wrong side of the upright. And Bournemouth almost made them pay soon after. When substitute Tom Dinsmore received the ball 20 yards out there appeared little on. But the central midfielder produced a clever piece of skill to turn away from his marker and having created space, fired a low, left-footed shot which George did well to save. Dinsmore and Hanfrey both had efforts from distance as the hosts searched for a route back into the game. However, Liverpool put the result beyond any doubt with eight minutes remaining when Glatzel received a ball from the left, wriggled past Ofoborh, strode into the area and thumped a shot past Travers.